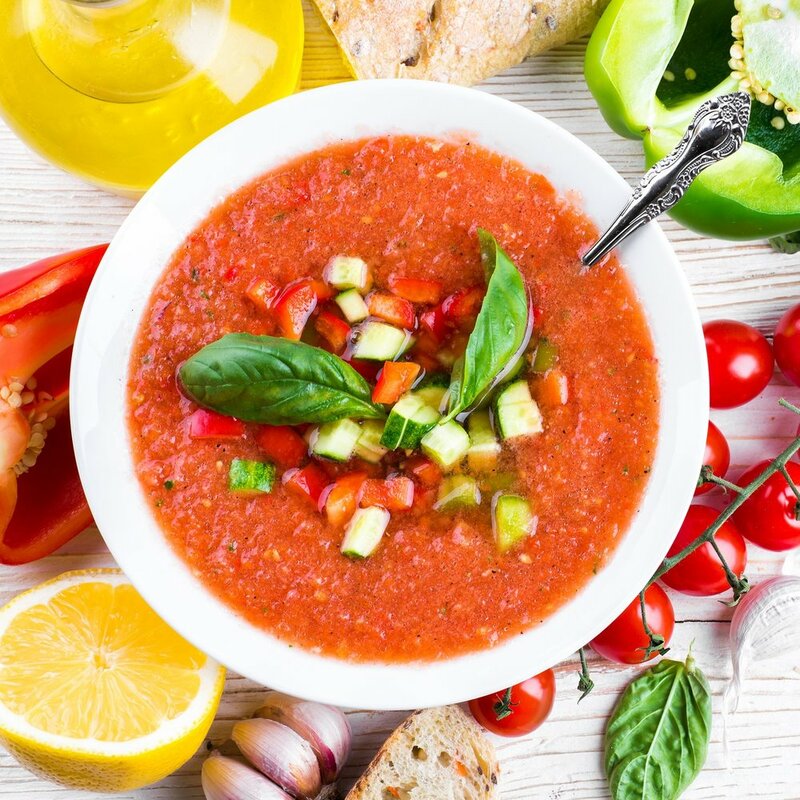 Combine the Crushed Tomatoes, water, lemon juice, and olive oil in a bowl. Stir in the cucumber. Salt and pepper to taste. Garnish with basil. Serve chilled.